There is no doubt that guns are one of the most effective ways to ensure you remain protected in public, but there are always risks to being a gun owner. Owning a gun requires a superior level of responsibility as they are tools which can decide between life and death. This is why firearms classes are so highly recommended by some. What if there was a way to minimize these risks? What if you could ensure that guns would not be used for nefarious activities? This is not the future. This is the objective of smart guns. We’re going to look at some advantages of smart guns and some of the potential disadvantages. First, let’s take a look at exactly what they are. 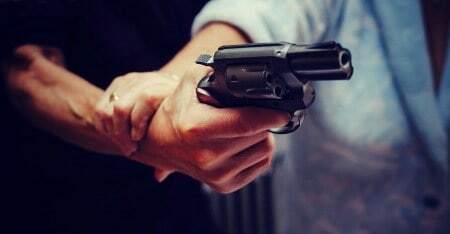 A smart gun is a gun which is designed to fire only when it is in the hands of its intended operator. This is intended to make guns much safer than they are currently. But, the technology is still relatively new. There are many reasons why a smart gun is an excellent choice for anyone looking to improve the safety of their guns. We will now take a look at some of the ways that smart guns ensure the user is an authorized user. There are many different smart gun manufacturers. They all use different methods to make sure their guns are in the proper hands if they are to be used. The first thing that comes to mind when one thinks of a futuristic firearm is the use of a fingerprint scanner to authorize the owner. Biometric scanners are a quick and easy way to ensure the user is the owner of the firearm. They are fast and straightforward, and they allow you to activate the gun with the touch of a finger. RFID chips are another way to ensure the user of a gun is authorized before it can fire. There is usually a chip located in the gun which triggers an interrupter that allows the gun to operate. The user must wear an object containing an RFID chip, such as a wristband, which will interact with the chip in the gun. 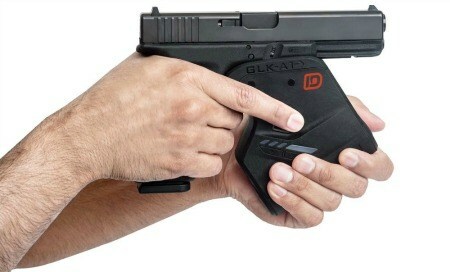 Unfortunately, the user needs to only be nearby for a RFID smart gun to fire. This means the gun may still be used by someone who is unauthorized, provided the rightful owner is nearby. For example, if a weapon is wrestled away in a robbery, it may still be authorized thanks to the nearby owner who is wearing the chip. Smart guns could decrease the number of gun thefts, as the guns will be unusable without the permission of the rightful owner. One of the primary sources of illegal firearms on the black market is from gun theft. This would be curbed if smart guns were implemented widely. With the widespread implementation of smart guns, only people who are experienced in the use of a firearm will be able to shoot that gun. There will be far less of a risk to having a gun in the home. 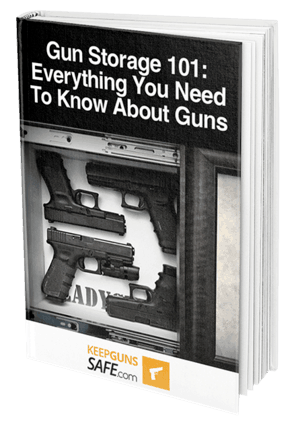 One of the main reasons that gun safes are so widely recommended is for the safety of the family. If there are curious children in the household, you will find that a smart gun will diminish the chances of an accident occurring to almost zero. This will make gun ownership far safer, and reduce the need for a ​highly rated gun safe on the market and other ﻿﻿safe storage options for guns, such as cabinets from our article on the best reviewed gun and rifle cabinets eve​r. The need to authorize a gun if it is going to be used for self-defense could be a step that could slow you down in a life or death situation. In these circumstances, a second could mean the difference between neutralizing an assailant and being injured or even killed. If someone pulls a gun on you, you are very likely not going to have enough time to be able to scan your fingerprint. This disadvantage makes a strong argument for RFID smart guns, which only require the user to have a separate chip near the gun so it can fire. Having sensitive electronics in a gun is not necessarily a good idea, for a few reasons. First of all, gunshots are miniature explosions. Guns wear away when they are shot over and over again. The mechanisms in a gun are meant to be subjected to these forces, but they still wear out over time. Imagine complex electronics in a gun. Think how they would hold up to repeated firing, such as at the range, when practice shooting. 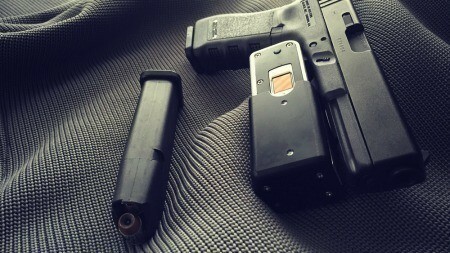 There is no guarantee that these electronics will continue to function when you need them most, potentially locking you out of your gun in an emergency. This is not to mention the potential for water damage and other unintended forms of damage the mechanisms of a gun would be able to survive. For instance, the circuitry would have difficulty. Smart guns would require heavily hardened and shielded electronics that would be quite impractical to manufacture. Since smart guns would need batteries to function, you would have to ensure the batteries are always at a sufficient charge level to be used at a moment's notice. This means that any neglect on the part of the owner to replace the batteries could result in the gun not functioning when needed most. 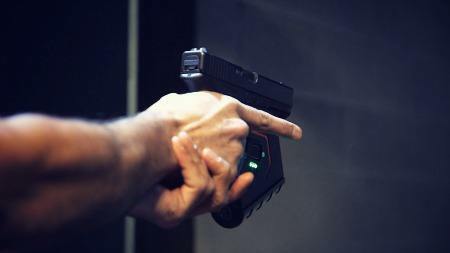 Smart guns are a great step towards ensuring that gun ownership is safe for everyone. But, we have to wonder whether the technology is advanced enough for them at this point. What do you think about smart guns? Let us know your opinions, or feel free to ask any questions, in the comments section down below.